It's been a few years and the cactus is still having a moment. Living in southern Arizona (Tucson to be exact! Where the "T" in "Tucson" is a cactus! ), I feel that I have some knowledge to share with the internet about what it's like to live surrounded by cacti and how to incorporate them into your home in a fun and natural way. I really can't get enough of the cactus in any shape or form. My latest obsession would have to be these cool pillows using a paint-by-numbers technique. I mean, you'll get it right the first time. Every time. Check it out! 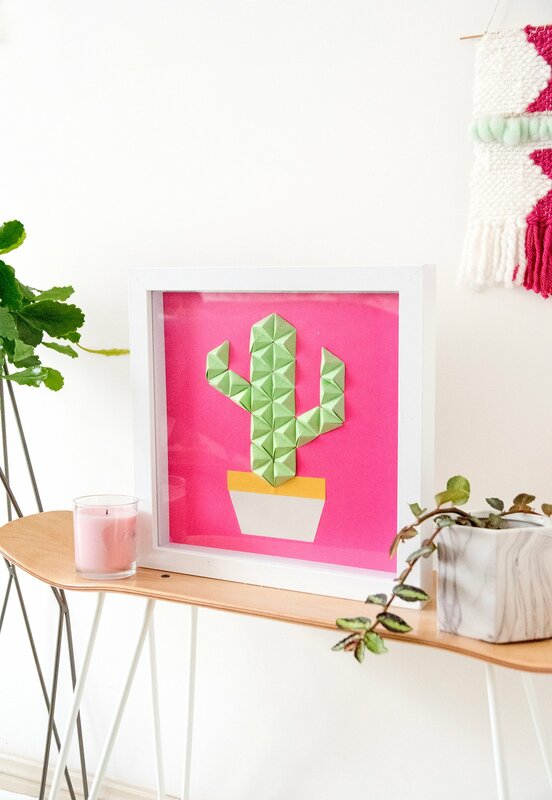 It could be the fact that I now live in Tucson and have embraced the cactus fully in my life, but this transfer art tutorial is pure genius! And totally useful in tons of artsy situations!